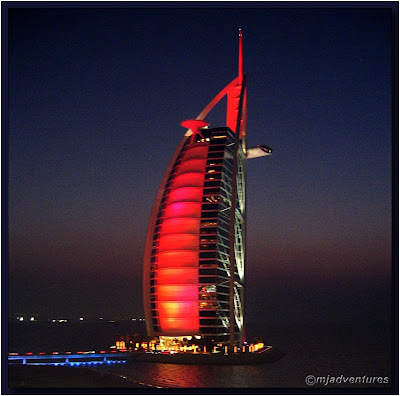 The lights phase red on the Burj Al Arab. Great shot, but very, very spooky!!! That was in part due to the condensation on my camera lens. It was September and I went from an airconditioned room into the Dubai humidity. My lens watered up immediately!